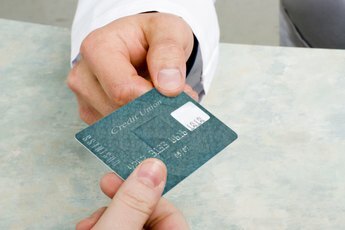 Do You Have to Pay Off Credit Cards of Deceased? Losing a loved one is bad enough. When creditors begin to demand payment from the decedent's next-of-kin, the ordeal can be even worse. Creditors sometimes count on heirs not knowing the law. They demand payment on the off chance that you might give it to them. In many cases, however, you don't have to do so. If you never signed for the debt, you don't have to pay it. Your loved one's credit card companies know that if you don't pay them, they may not receive payment at all. They obviously don't want this to happen, so some of them may reach out to you, especially if the deceased was your spouse or parent. 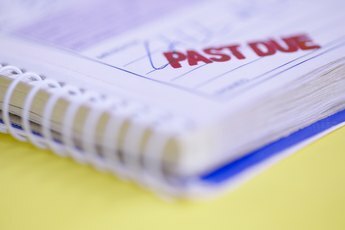 It's not uncommon for less reputable companies to tell you that you inherited the debt, or even that the law requires you to pay it. In most cases, that's not true. They're just hoping that in your grief, you'll feel a sense of obligation to tidy up the affairs of your loved one. Probate is the legal process of settling your loved one's estate. The primary purpose of probate is to pay off his debts by liquidating his assets, then transferring anything left over to his beneficiaries. The only legal option your loved one's credit card companies have is to file a claim for payment with his estate during the probate process, and then hope the estate has enough money to pay everyone. The executor of an estate pays creditors in an order of priority set by state law. Unsecured loans, like credit cards, typically receive payment last. Therefore, if your loved one left $100,000 in debt, and if he had only $75,000 in assets, his credit card companies probably won't receive payment. Taxes, expenses of the estate, and secured debts are paid first. If the estate then runs out of money, the effect is the same as if your loved one had declared bankruptcy. You're not responsible for contributing your own money to make sure all his debts are paid. There are exceptions to almost every rule, and a few apply to your loved one's credit card balances as well. If you're a co-signer on the card, the creditor has a right to ask you for payment, and you're legally responsible. When you co-signed on the card, you guaranteed payment if your loved one couldn't make the payments himself. Another exception is if your spouse has died and you live in a community property state. In these states, spouses owe all marital debt equally, so the creditor has a legal right to expect you to pay. Community property states include Louisiana, Arizona, Wisconsin, California, Texas, New Mexico, Washington, Nevada and Idaho. If you're sure you didn't co-sign for the loan, and if you don't live in a community property state, you can take down all information regarding the account if a credit card company calls you. You can turn it over to the executor of your loved one's estate for payment. In most cases, the company already has contact information for the estate's executor. If the executor knows about the account, she would have sent notice to the company, letting it know that the estate is in probate and instructing the creditor to file a claim for its money. Even if the company asks you for it, you don't have to -- and you shouldn't -- give any personal information about yourself, such as your Social Security number. Spencer Law Firm: Are the Heirs Responsible for a Decedent's Debts? The Grossman Law Firm: California Probate -- How Do You Notify Creditors? 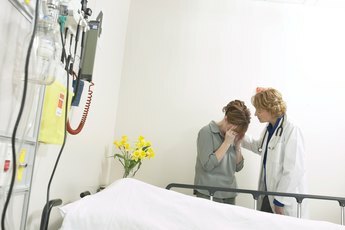 What Happens to Debt When a Person Dies?